At 2,200 km in length, the Orange River, which goes by many names in different languages, is the longest river in South Africa. Starting in the Maloti Mountains in Lesotho, the river slices through the state before emptying into the Atlantic Ocean at Alexander Bay. The river is characterized by having steep valleys and wooded areas in a country that features a combination of mountains, savannas, lakes and deserts in general. According to records, 32 crossings and three dams are reported to exist, even though the numbers may be a bit higher because of the river’s length and the towns it passes through, such as Preiske, Kakamas, Groblershoop, Hopetown, Douglas and Oranjemund. None of them have sufficient information on their length and history. 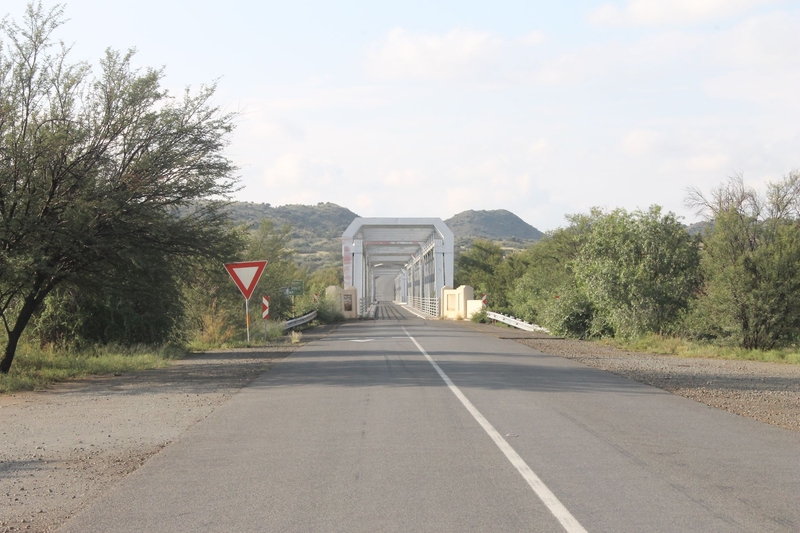 This includes the Havenga Bridge, located between Vanderkloof and Orania, our mystery bridge profile. Also more unique about the Havenga Bridge is the outer truss spans are much narrower than the center span. That span is estimated to be between five and seven meters (15 and 21 feet) wide, the outer spans a meter (3-4 feet) narrower. It is unknown how long the bridge is total, but it is estimated that the bridge is close to 500-600 meters (1500- 1800 feet) long total with the longest span being 50- 70 meters (150- 210 feet) and each of the outer spans being 40-50 meters (120-150 feet long. Exact measurements would be needed to confirm the bridge’s dimensions. Even more important is when the bridge was constructed, for the plaque on the north end of the bridge is believed to have been built in 1934. 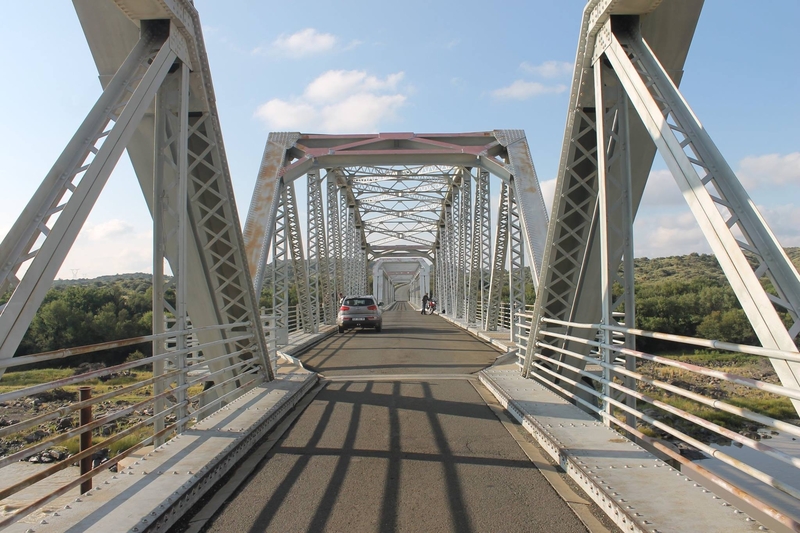 It is unknown who the contractor was, but given the fact that South Africa was once a colony ruled first by the Dutch and later the British thanks to the Boer Wars, it is possible that the bridge builder may have come from the British Commonwealth or the Netherlands, especially because the truss design and portal features are typical in the region. More information would be needed to determine the exact date of construction, why it was needed, and who was responsible for the construction of the structure. 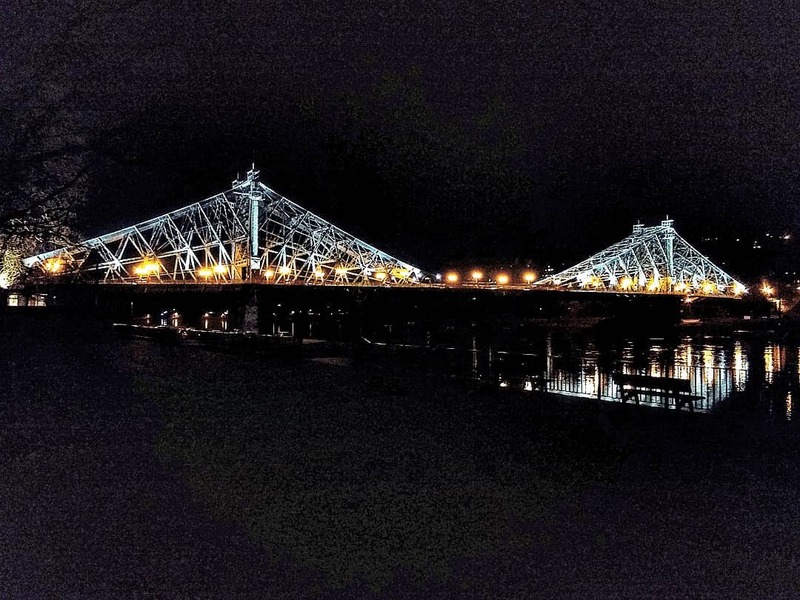 It is possible that the original spans were Parker trusses, but the outer trusses were replaced at one point. Some are speculating the replacement dates being in the 1990s, but these are only speculations that need to be supported with pure facts. It is known that the entire bridge has riveted connections, which was typical of bridge construction at that time. 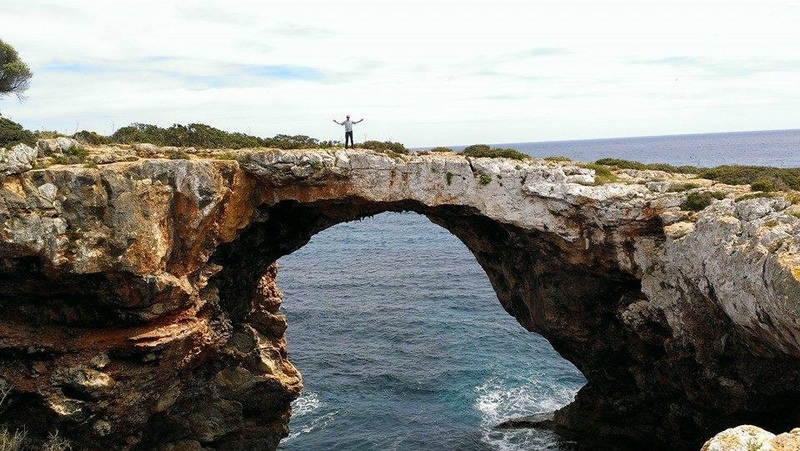 The bridge presents a beauty that has to be seen when visiting South Africa as a touring pontist or a tourist with an interest in history. 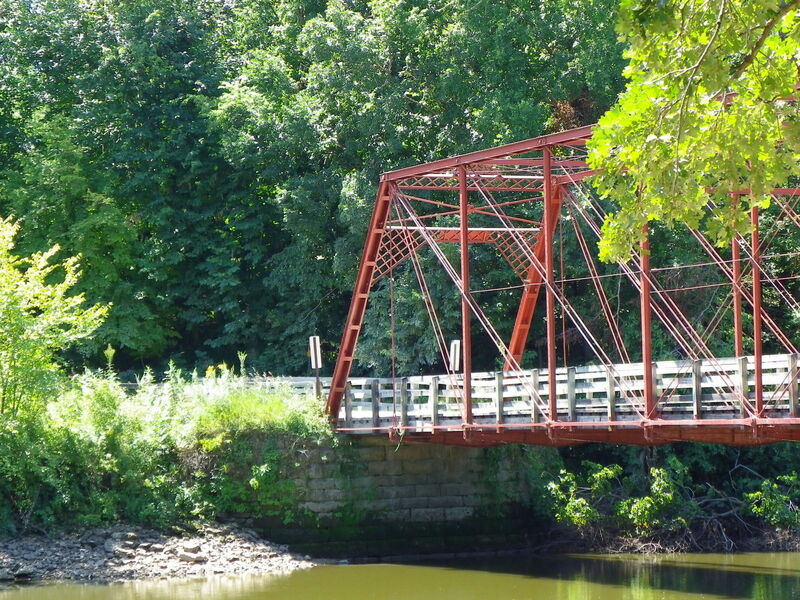 What is lacking is the history of the bridge, and this is where your help is needed. What do you know about the bridge in terms of its history and/or features? Place your comments below or send them to Jason Smith at the Chronicles using the contact info in the About page. It is hoped that we can collect enough information to solve the mystery of the Havenga Bridge, but more so to open the can of beans and explore the Orange River and the other bridges that exist. Many of them are either just as old or even older than this bridge. May the Havenga Bridge open the stage for more bridges to be profiled in the Chronicles and beyond.